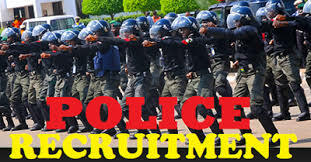 Nigeria’s police was first established in 1820. The first person to have the highest rank in all the police is commissioner general colonel KK. In 1879 a 1,200-member armed paramilitary Hausa Constabulary was formed. In 1896 the Lagos Police was established. 2. Applicants must possess a minimum of 5 credits in not more than 2 sittings in WASSCE/GCE/NECO/NABTEB with credit passess in English and Mathematics. 3. Applicants must be aged between 18-25 years by March 2018. 4. Applicants must be medically, physically, and psychologically fit and must not be less than 1.67mtrs tall for male and 1.64mtrs tall for female. 7. Applicants must print their completed online forms, guarantor form and submit it at the examination / screening and recruitment centre. ii. Fill and SUBMIT the Online Form. (Review the information before final submission). iii. Ensure that you print out the information that is sent automatically to your Email, and do not forget to copy and save your REGISTRATION NUMBER for future correspondences. The NUMBER Is case sensitive please. iv. You would be required to present a hardcopy of email message sent to you if you are shortlisted and contacted for the next stage of the recruitment process.